This interview took place in 2006 and was originally posted on Low End Mac. I was just 16 when I interviewed Andy, and he was kind enough to answer all my questions and also answer some of my other emails as well. I highly recommend his book ‘Revolution of the Valley’ and also a visit to his website Folklore.org. 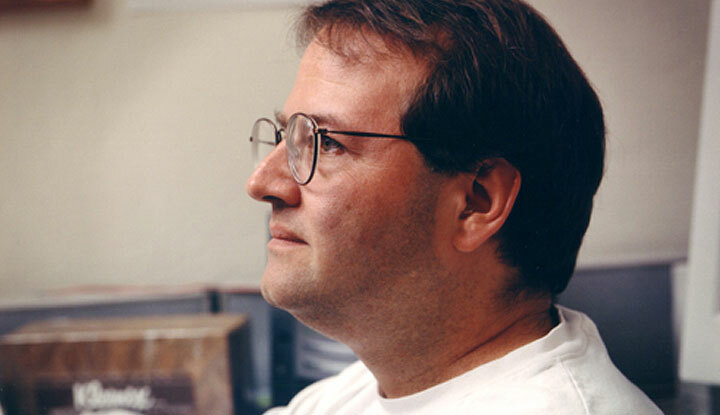 Andy Hertzfeld was a key member of the original Macintosh team in 1984. He joined Apple in 1979 and was responsible for many parts of the original Macintosh system software. He was such an adept programmer, in fact, that his Apple business card said Software Wizard. Hertzfeld left Apple in 1984 and has since cofounded three companies; Radius (1986), General Magic (1990), and Eazel (1999). In 2005, his book,Revolution of the Valley, was published; it tells the story of how the Mac was made. Today, he works at Google as a software engineer. Joshua Coventry: What were the main reasons you joined Apple in 1979? Andy Hertzfeld: I joined Apple because I fell in love with the Apple II. Its design style was so compelling to me that I had to go to work at the place that created it. I started as a system’s programmer at Apple about 18 months after I bought my Apple II. JC: A lot of your work has been related to programming. Is it easier to learn a programming language today than it was in the 70s and 80s? AH: It’s much easier to learn to program today than in the ’70s or ’80s, because computers are much more powerful and accessible. Almost anyone who is interested can get access to a computer these days, and they are so powerful that even beginners can write programs that do things that would have been considered almost impossible to accomplish 30 years ago. JC: The 128k Macintosh was truly very groundbreaking in its own right, but it didn’t have color or Apple II compatibility. Looking back, do you think these would have helped it sell better back in 1984 and 1985? AH: We would have liked to have given the original Macintosh color capabilities, but we would have had to sacrifice resolution or make it much more expensive. I’m pretty sure we made the right tradeoff. It wouldn’t have made sense to make the Mac compatible with the Apple II or IBM PC – we were asking developers to write a whole new kind of application featuring a GUI, and they wouldn’t have done it if their existing apps could run on the machine. Also, it would have added significant additional costs. JC: What was it like working with Steve Jobs and the rest of the Mac team? AH: Short answer: It was great, probably the best experience of my life. Longer answer: read my book, Revolution in the Valley, or the website on which it was based at http://www.folklore.org, which answers that question in great detail. JC: John Sculley raised the price of the Mac so that the advertising campaign could be paid for. Looking back, do you think this was the right thing to do? AH: No, it seemed to me to betray the ideals of the team to charge an extra $500 for marketing purposes, and I think it came back to haunt Apple – if they had taken a strategy to optimize market share instead of margins in the 80s, they wouldn’t have run into as much trouble later on. JC: Why did you leave Apple in 1984, and do you regret it? AH: I had a personality conflict with my boss, Bob Belleville. You can read all of the gory details in my book. In a way, I regretted leaving Apple, but I really didn’t have a choice given the situation, and I would do it again if the same situation arose, because I had to stay true to my values. JC: You founded Radius in 1986 with several others, including Burrell Smith. What did you do at Radius? AH: I wrote all of Radius’s software for the first year-and-a-half of their existence. The thing that I’m most proud of was coming up with a way to use multiple displays on a single machine by putting all the displays in a single coordinate space. Everyone does that today, but we came up with it first – in the summer of 1986 at Radius. JC: Are you still in good contact with many of the older Apple employees you used to work with, like Bill Atkinson and, of course, Steve Jobs? AH: Yes, I’m still in good contact with most members of the core Mac team, including Steve. I just had a nice, long enjoyable visit with Steve a couple of weeks ago – he seems to be doing fine. JC: At the moment, Apple is doing extremely well. Have you thought about rejoining the company recently? AH: Yes, I talked a bit with Steve Jobs about rejoining Apple in the spring of 2005 after I finished my book, but he advised me that he didn’t think I would fit in well there anymore. Even though I still love Apple, I’m glad I went to Google instead, which I think is the best company ever. JC: What were your first reactions to Apple switching to Intel processors, and what are your opinions on the current Mac lineup? AH: I think the current Macs are great. I think Apple made a good move by switching, which strengthens their position in many ways and gives them lots of fascinating strategic options moving forward. JC: At the moment, many believe that Apple’s software applications are lacking features and not as good as what they used to offer through Claris in the latter 80s and early 90s. Do you agree? AH: No, I don’t agree. I think the iApps are mostly great for the purpose they’re intended – which is to be really easy to do simple tasks. They aren’t intended to have every possible feature. JC: Mac OS X is a very solid operating system, but it could be improved in a number of areas. What would you mainly change? AH: I think Mac OS X sometimes gives visual appearance too much priority over usability – I would value usability more. There are also some low level issues that are too technical to talk about here, but overall I think they’re going a terrific job. JC: Currently, you work at Google. What do you do at Google, and what is the atmosphere like compared to what it was like at Apple? JC: Which computer do you currently use? AH: I use lots of different machines for different reasons on all three major platforms – Mac, Windows, and Linux. But Macintosh is still my preferred client machine. I’m writing this on a new Mac Pro with a 30″ display. JC: Do you think Apple is heading in the right direction to grab some more market share from Microsoft and also from Dell and HP? AH: Yes, I think Apple is well positioned to expand over the next few years. It should be interesting to see how things play out. JC: What are your plans for the future? Are you currently working on any personal projects? AH: I’m not sure – I still love writing lots of code, but at age 53 I think I’m getting a little too old for it, in terms of faltering memory acuity and sheer energy, which is naturally waning. There’s a chance I’ll want to do another startup, but I’m probably more likely to want to try to write a novel, which I’ve wanted to do since I was a teenager. JC: Thank you for your time! Next story Are you a Pro using the Mac every day? Get in touch with us!